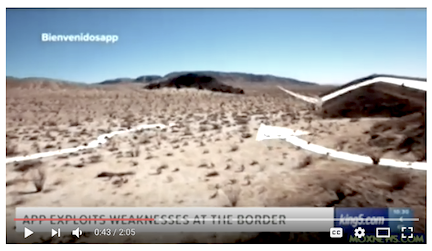 But the name of the video reads like a Trump campaign slogan: â€œItâ€™s Time for the Wallâ€� and notes that there are 1,954 miles of southern border between the United States and Mexico. President Donald Trumpâ€™s plan to extend the nationâ€™s border walls in 2018, say immigration reformers. The border-wall funds were included in the Pentagonâ€™s 2018 budget by a House vote on July 27, leaving the 48 Senate Democrats as the only barrier to the construction of roughly 60 additional miles of walls and fencing. â€œIt puts them in the difficult position of voting against national defense in order to stop the improvement of the border wall â€¦ which is national defense,â€� said Mark Krikorian, director of the Center for Immigration Studies. 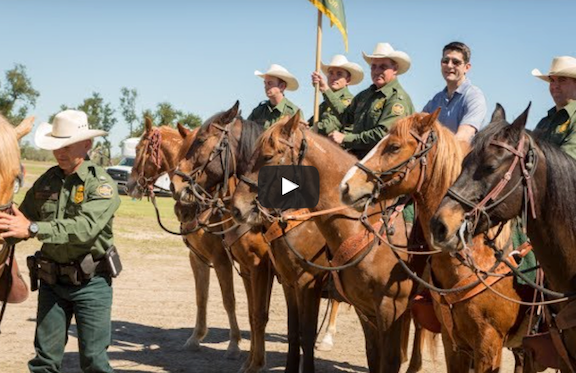 â€œIt is bad for them on both sides of the message â€” not only do they not want to protect the border, they are also willing to sacrifice soldiers in the field to not protect the borders,â€� he added. â€œIt seems like [House Speaker Paul] Ryan does deserve some credit â€” if he follows throughâ€¦ [but] we have to see what [GOP Senate Majority Leader Mitch] McConnell does,â€� said Krikorian. â€œIt will be difficult for [Senate Democratic leader Chuck Schumer] to explain why he is willing to hold up the defense budget hostage,â€� said Ira Mehlman, a spokesman for the Federation for American Immigration Reform. Many polls show that Americans are very generous, they do welcome individual immigrants, and they do want to like the idea of immigration. But the polls also show that most Americans are increasingly worried that large-scale legal immigration will change their country and disadvantage themselves and their children. Trumpâ€™s â€œBuy American, Hire Americanâ€� policies are also extremely popular, including among Democratic-leaning voters. 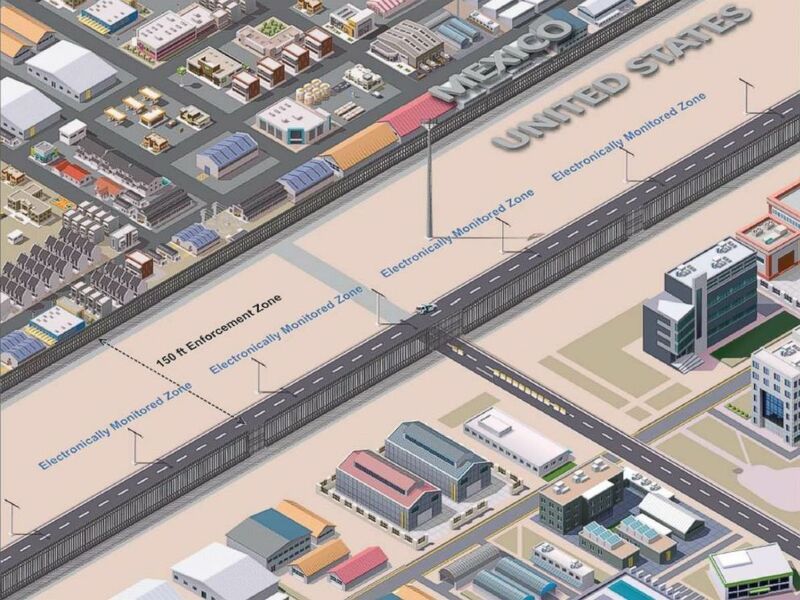 Customs and Border Protection (CBP) announced Thursday that four vendors have been selected to design and build prototypes for the proposed U.S.-Mexico border wall, which remains a top priority of the Trump administration. The four companies awarded contracts are: Caddell Construction Co., Fisher Sand & Gravel Co., Texas Sterling Construction Co. and W. G. Yates & Sons Construction Company. 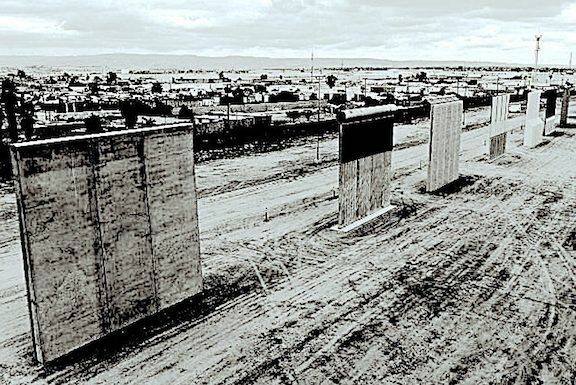 Each of the selected companies has been tasked with building one wall prototype made of "reinforced concrete" along the border in San Diego. Next week, CBP will decide on up to four additional vendors that will be selected to build wall prototypes made of non-concrete materials. 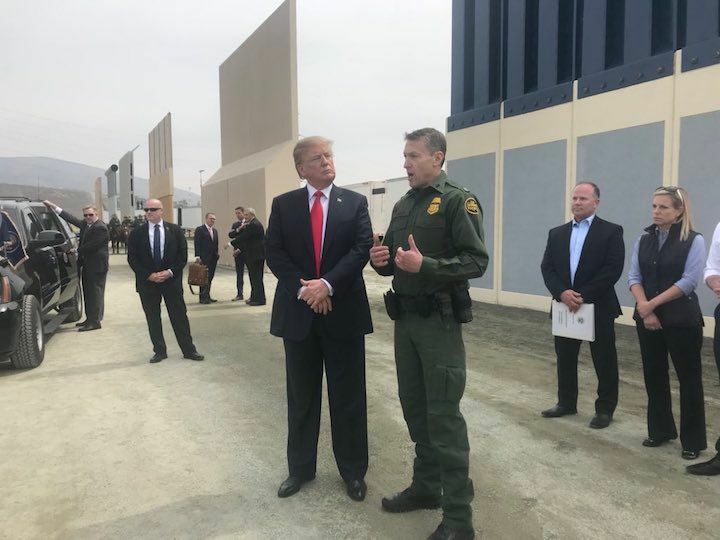 .... "These prototypes, which are intended to deter illegal crossings, will help us refine the design standards and security requirements that will meet the needs of U.S Border Patrol," said acting Deputy Commissioner Ron Vitiello during a press briefing. The prototypes will be designed to be 30 feet long and up to 30 feet high, and will be in close proximity to each other. Testing will examine aesthetics, as well as the breaching and scaling potential. Once the prototypes are built, there will be a 30 to 60 days evaluation period. "We're going to do this as quickly as possible," Vitiello said. The San Diego sector was chosen as the prototype location because of access to the border land, the conditions that allow for CBP to evaluate the structures as part of the larger infrastructure system and the operational importance of the region. 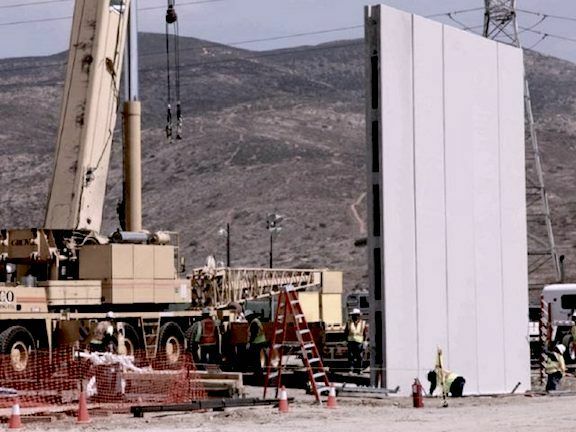 A must-pass Homeland Security funding bill proposed by House Republicans on Tuesday includes $1.6 billion to fund the beginning of a border wall along the Mexican border that President Trump promised voters in 2016.
prototypes for President Trumpâ€™s new border wall. In a short notice, U.S. Customs and Border Protection said the building began in San Diego on eight prototypes, which had been awarded over the summer. Four of the prototypes are concrete walls, and four are non-concrete designs. border walls,â€� said Ronald Vitiello, acting deputy commissioner at CBP. The prototypes are designed to test out new approaches, materials, strategies and technology as Homeland Security pushes forward with Mr. Trumpâ€™s goal of a border wall. 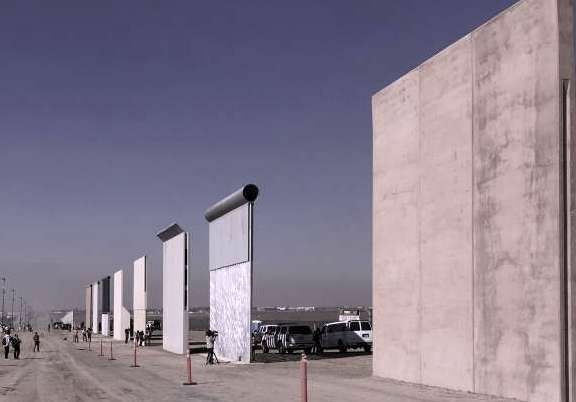 The designs are between 18 and 30 feet, and will be evaluated on how well they deter climbers, how well they withstand breach attempts and what sort of awareness they allow agents who patrol the border. The prototypes are expected to be finished within 30 days. â€œMoving forward with the prototypes enables us to continue to incorporate all the tools necessary to secure our border,â€� Mr. Vitiello said. Agents â€” and Mr. Trump â€” say visibility through the wall is critical for knowing whatâ€™s going on in Mexico, helping agents avoid ambushes or other potential dangers, as well as spot migrants or smugglers preparing to try to cross. About 354 miles of the 1,952-mile border are currently protected by some form of wall. Another 300 miles have vehicle barriers, which allow easy penetration by pedestrians or animals, but are designed to stop trucks and cars from barreling over the border. 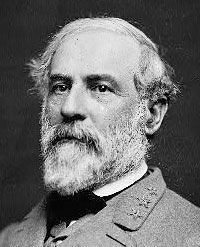 attempt to secure the nationâ€™s border with Mexico." The House Homeland Security Committee approved a $10 billion funding package for President Donald Trumpâ€™s promised border wall construction. The bill could be attached to legislation being debated to replace President Barack Obamaâ€™s Deferred Action for Childhood Arrivals (DACA). The provision funding the construction of the presidentâ€™s promised border wall came as part of a border security spending proposal that will reimburse states for up to $35 million for their costs of using National Guard troops to supplement border security efforts in their state, The Hill reported. It also includes $5 billion to increase security at ports of entry. 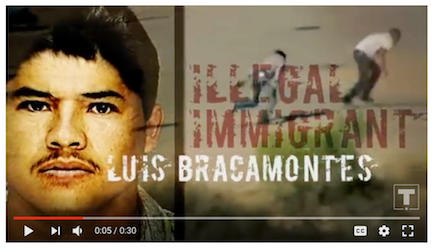 The ad was released a day after Senate Democrats voted to shut down the federal government because the spending bill to keep the government open did not include amnesty for at least 3.5 million illegal aliens, as Breitbart News reported. can to breach security before the wall goes up! AND ... to get their 'kids' across that border! surged back to where they were under Obama." A year ago, President Trump committed to the American people to build a wall along the United States-Mexico border to stop illegal immigration and the flow of drugs into the country. A year later, Trump is still promising to build the border wall, as prototypes of what the wall could look like sit in the San Diego, California, desert and border-crossings surge back to President Obama-era illegal immigration levels. Since September 2017, eight border wall prototypes have sat in San Diego, being tested by U.S. Customs and Border Protection and toured countlessly by government officials. Department of Homeland Security (DHS) Secretary Kirstjen Nielsen toured the border wall prototypes in December 2017, telling Fox News that the wall was paramount to ending illegal immigration. â€œWe got to have a wall, weâ€™re going to have a wall. But then you need the technology, you need the people, you need the censors, you need the cameras, you need the monitoring, to make sure that that wall is as effective as it can be,â€� Nielsen said. 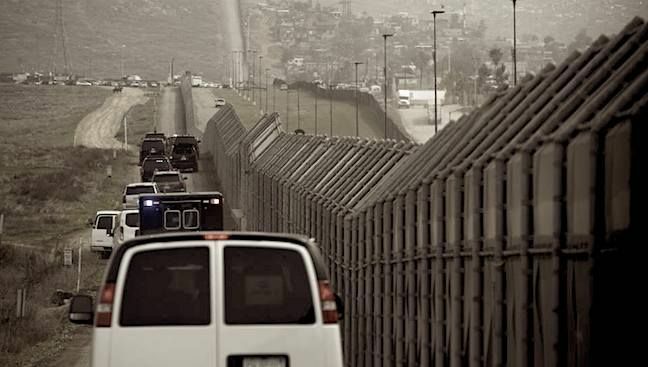 Between April 2017â€”when border-crossings hit a historic lowâ€”and December 2017, family unit border-crossings have surged 625 percent, Breitbart Texas reported, with the last month of 2017 even exceeding the number of border-crossings under Obama. Military special forces based in Florida and U.S. Customs and Border Protection special units spent three weeks trying to breach and scale the eight models in San Diego, using jackhammers, saws, torches and other tools and climbing devices, said the official, who spoke on condition of anonymity because the information was not authorized for public release. A Customs and Border Protection report on the tests identifies strengths and flaws of each design but does not pick an overall winner or rank them, though it does point to see-through steel barriers topped by concrete as the best overall design, the official said. The report recommends combining elements of each, depending on the terrain. The official likened it to a Lego design, pulling pieces from different prototypes. Carlos Diaz, a spokesman for Customs and Border Protection, said the agency is still in â€œthe testing phaseâ€� and that results are being evaluated. He said combining elements of different prototypes instead of picking a winner is consistent with previous statements by officials. He noted that the agency said in its bidding guidelines that a minimum height of 18 feet (5.4 meters) would be a key characteristic. He said he did not have additional details on test results. .... Real Americans are finally catching on to the Democrats' can't-do/won't-do playbook, which manifested itself most recently in the tax cut. Once the border wall is up -- and actually before, as the Mexicans realize we mean business -- watch the numbers of illegal "dreamers" fall precipitously. Ronald Vitiello, the agencyâ€™s acting deputy commissioner, said after visiting the prototypes in October that he was struck most by the 30-foot (9.1-meter) heights, which are significantly higher than existing barriers. Taller barriers are undoubtedly more effective, but whether the cost is justified will be up for debate. The highly trained testers scaled 16 to 20 feet (4.9 to 6.1 meters) unassisted but needed help after that, said the official who described the assaults on the wall prototypes to the AP. Testers also expressed safety concerns about getting down from 30 feet. wow, cannot get a hook on the rounded-topped one. I say do it right. Go for the 30-foot tall ones that can be seen through. Who knows what they'll come up with in future abilities, so might as well be prepared. I'm simply loving it that Trump doesn't compromise on his promises! infrastructure, and technology on the border and at our ports of entry." A look back into the Democratic Partyâ€™s official 2008 platform on immigration shows just how far left its members have drifted in a decade. and large quantities of drugs north." REYNOSA, Tamaulipas â€” More than 387 people have been killed in direct connection with the raging violence for cartel control of this border city since May 2017. Bordering with Texas, Reynosa is considered a significant trading area for industry and tourism, however, the region is also a primary route used by drug cartels to move thousands of illegal immigrants and large quantities of drugs north. Due to the strategic importance of the region, criminal organizations are fighting for control of smuggling routesâ€“leading to fierce gun battles over the years. The most recent wave of violence began shortly after Mexican authorities killed the former leader of the Gulf Cartel in Reynosa, a man named Juan Manuel or Julian â€œToroâ€� Loiza Salinas. As Breitbart Texas reported at the time, the death led to a power vacuum where his relatives and allies tried to hold on to power and went to war with another faction of the Gulf Cartel. The violence has led to convoys of gunmen roaming the streets and clashing in public areas as well as cartel roadblocks throughout Reynosa and Rio Bravo. those found in the mass graves of cartel incineration sites. loading up as we speak ..."
Guatemala, Honduras, and El Salvador." CIUDAD VICTORIA, Tamaulipas â€” The discovery of over 100 migrants headed to Texas took place at a military checkpoint just 30 minutes north of Ciudad Victoria, the capital of Tamaulipas. According to information released by Mexicoâ€™s National Immigration Institute (INM), the discovery became a rescue operation once authorities realized the health conditions of the migrants. According to immigration officials, the migrants showed signs of acute dehydration and asphyxia leading authorities to rush medical personnel to the scene to provide needed care. The ones that showed the worst signs were 39 underage teens and children, of those, 10 were unaccompanied. meth, 87 pounds of cocaine and 18 pounds of heroin." 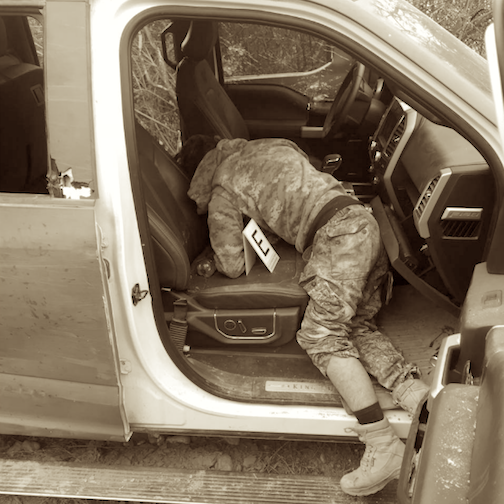 A traffic stop led Mexican authorities to seize enough fentanyl to kill millions of people as well as almost 1,000 pounds of crystal methamphetamine and other drugs that were headed to the California border. 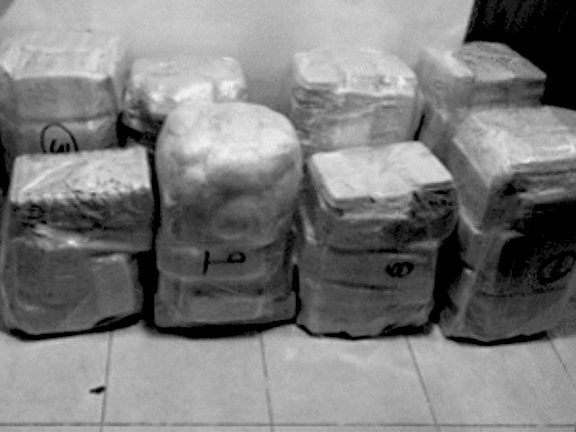 This week, Mexicoâ€™s National Security Commission announced the seizure of 45.5 kilograms of fentanyl that were found as part of a synthetic drug shipment in the Mexican beach resort town of Ensenada, Baja California. The seizure also included more than 914 pounds of crystal meth, 87 pounds of cocaine and 18 pounds of heroin. Unlike the other synthetic drugs, fentanyl is a medically used opioid that is considered to be 100 times more powerful than morphine and prone to lethal overdoses. According to the Oxford Treatment Center, the lethal dose for an individual taking fentanyl is 2 milligrams. The 45.5 kilograms of fentanyl seized is enough to fuel millions of possible lethal doses. 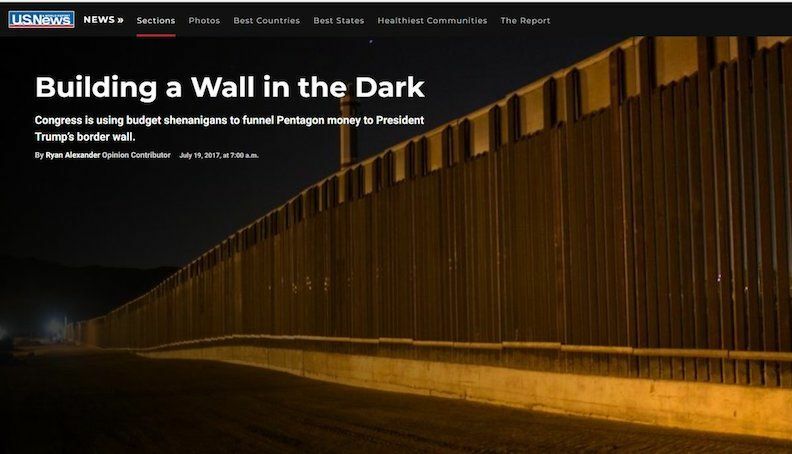 Sorry to all you die-hard Trump supporters out there, but someone has to tell you for your own good: the idea that a multi-billion dollar "wall" along the U.S.-Mexico border will keep illegal aliens from flooding into America is as mindless and stupid as the idea that a similar "wall" would keep heroin from Afghanistan from flooding in. Anything the political ruling class wants to flood this country with is flown in. Wake up and smell the 21st century! ... what about the truckloads of people and dope reported on above? at all levels to stem the flow. No it won't. It will merely give gullible conservatives the illusion that something is being done to stop the influx of unvetted illegals. If the "real owners" (to quote George Carlin) of this country want to do to the U.S. what ruling elites have already done to various regions of Western Europe, a new Berlin Wall isn't going to stop them. But don't take my word for it. By all means, find out the hard way. You can't say you weren't warned. Perhaps that's why neither side of the controlled-opposition debate over this issue will so much as mention that bill. Lest I be misunderstood, I'm all in favor of legal immigration. Hundreds of thousands of people legally immigrate here every year. I'm merely against people cutting to the head of the line. Imagine being at an amusement park, standing in the hot sun for nearly an hour waiting to ride the latest roller coaster, only to see someone who just got there walk in front of you and everyone else as though he owned the place. I've actually seen this happen. He and his buddies were thrown out. And rightly so. New 'Dreamers' ... they made it!!! "Thirteen were unaccompanied minors ..."
after he was found to be transporting 76 immigrants in Texas. The U.S. Border Patrol said in a statement Monday that the immigrants were discovered Friday at a checkpoint on U.S. 83, about 35 miles (56 kilometers) north of Laredo in South Texas. The semitrailer stopped in the checkpoint's primary lane where the driver, a U.S. citizen, was questioned about his immigration status. His rig was kept for further inspection, and agents found the immigrants inside the trailer. The immigrants are from Mexico, Honduras, El Salvador and Guatemala. Thirteen were unaccompanied minors. The Border Patrol says all of them are in good health. U.S. Immigration and Customs Enforcement spokeswoman Nina Pruneda says the driver's identity and other details about the case are being withheld at this time. CEO of Fisher Sand & Gravel Tommy Fisher, one of the four finalists selected to build prototypes for President Donald Trumpâ€™s proposed border wall, joined The Daily Caller for an exclusive interview Tuesday before President Donald Trumpâ€™s State of the Union address. Fisher declares he can build a 700 mile long wall along the US-Mexico border for approximately 11 billion dollars, a proposal he has submitted to the Department of Homeland Security which is under significant consideration. He specifically emphasized the ability of his company to build a wall even along mountains and rivers where it can even serve as a levy. He responded to Trumpâ€™s past declaration that any border wall needs to be see through for surveillance purposes by noting the advantages his own wall offers given its unique, high vantage point. Fisher explained that with his proposed wall border patrol agents would be able to drive along an access road vaulted above the ground, at speeds up to 60 mph. The two-year $296 billion budget deal includes no money for the border wall but does direct the Department of Homeland Security to $800 million for various disaster-related construction and procurement projects. The exclusion of border-wall funding in the two-year budget planning document does not block border-wall funds from being included in the final appropriations bills for 2018. Both the Senate and House draft bills now include roughly $1.5 billion for wall construction in 2018. President Donald Trump has called for a $25 billion fund to build the wall over several years. Once the two-year budget plan is approved, legislators will try to finish the 2018 appropriations bill during the next six weeks â€” and Democrats will likely oppose any significant border-wall spending for 2018. GOP leaders did not press to include border-wall funding in the two-year budget but instead allowed determined Democrats to exclude the funding. During the closed-door negotiations, the GOP concessions on the wall were likely swapped for gains in their priority projects. I wonder how many made it past the border? Mexico City (AFP) - Mexican authorities detained more than 500 undocumented migrants over the weekend, mostly Central Americans trying to reach the United States, many of them risking their lives, officials said. Many of the migrants, who were detained in six different operations, were being trafficked by smugglers in unventilated trucks with no food or water. More than 200 others were found crammed into six "safe houses" used by criminal gangs in the state of Tamaulipas, which borders the United States. 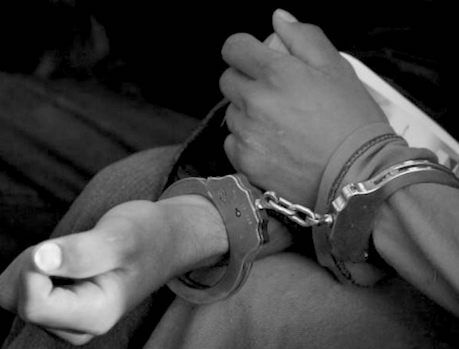 They had paid their traffickers up to $4,000. More than 100 of the migrants in that group were minors. The detentions come as immigration across the southern US border is at the center of a political firestorm in Washington. The operations come a week after Mexico detained more than 300 Central American men, women and children being smuggled to the US without water or food. 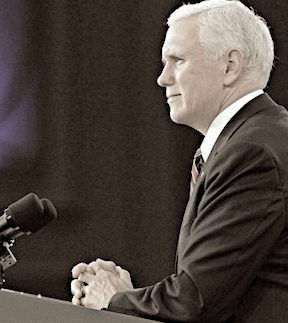 OXON HILL, Maryland â€” â€œMake no mistake about it, weâ€™re gonna build that wall,â€� declared Vice President Mike Pence from the stage of the Conservative Political Action Conference (CPAC) on Thursday morning. â€œBuild that wall! Build that wall! Build that wall!â€� came chants from the crowd in response to the Vice Presidentâ€™s assurance that the Trump administration will build a wall along the U.S. southern border. Building the border wall was a cornerstone pledge of then-candidate Donald Trumpâ€™s 2016 presidential campaign. Just over a year into the Trump administration, Congress has yet to approve funding to complete the project. In 2006, Democrats and Republicans joined together in sanctioning of the Secure Fence Act. However, the Presidentâ€™s efforts to secure funding for building a wall along the southern border have been met with heavy opposition from Democrats in his administrationâ€™s first year. 2 to 30 million illegal aliens living across the U.S."
President Trump has refused to back down on his promise to make Mexico pay for a wall along the United States-Mexico border, prompting a White House trip by Mexican President PeÃ±a Nieto to be canceled. Trump and Nieto decided to call off the planned visit in Washington, DC, after a phone conversation about the proposed U.S.-Mexico border wall and how it would be paid for â€” in one way or another â€” by Mexico. Tentative plans for Mexican President Enrique PeÃ±a Nieto to make his first visit to the White House to meet with President Trump were scuttled this week after a testy call between the two leaders ended in an impasse over Trumpâ€™s promised border wall, according to U.S. and Mexican officials. PeÃ±a Nieto was eyeing an official trip to Washington this month or in early March, but both countries agreed to call off the plan after Trump would not agree to publicly affirm Mexicoâ€™s position that it would not fund construction of a border wall that the Mexican people widely consider offensive, said the officials, who spoke on the condition of anonymity to discuss a confidential conversation. .... Mexico, Trump has committed, will somehow end up paying for the border wall, whether that comes in the form of taxing remittances to have illegal aliens from Mexico actually pay for the wall or tariffs on imported goods from Mexico. Baja California, bordering Arizona and California, leads all other Mexican states in homicide cases for January 2018. According to information released by the Secretariado Ejecutivo del Sistema Nacional de Seguridad PÃºblica (SESNSP), Baja California registered 211 homicides in January, according to local media outlet. Baja California encompasses the cities of Tijuana, Ensenada, Rosarito, and Mexicali. The high levels of cartel-related violenceâ€“which plagued Mexico during 2017â€“continued into January 2018. According to the official figures, there were 2,156 homicides nationwide in the month. The total is nearly 12 percent higher over January 2017, when 1,929 were registered. The figures in Baja California are alarming compared to the homicide rate of nearby San Diego, California. In 2017, San Diego (population 1.4 million) registered 34 homicides. Tijuana (population 1.7 million) saw 1,734. Additionally, the tourist beach city of Ensenada (population 486,639) registered 294 homicides in 2017.
barbed wire fence that serves as the border between the U.S. and Mexico. Rancher Jim Chilton crawled under it and stood on Mexican soil. It takes more than 90 minutes to travel the 20 miles from Jim Chiltonâ€™s house on his sprawling Arizona cattle ranch to the border between the United States and Mexico. But the multi-generational rancher is willing to take guests along for the ride to show them why a wall is needed to secure the homeland. On this tour, Kelli Ward, Republican U.S. Senate candidate who hopes to replace retiring Sen. Jeff Flake (R-AZ), is in his heavy-duty pickup truck traversing rocky roads and deep creeks to reach the location where Chilton points to the four-strand barbed wire fence that stands between his ranch and Mexico. What they do not talk about is drug trafficking run by cartels that Chilton said control much of the area, including having scouts on hilltops monitoring any Border Patrol activity. Us President Donald Trump will start to build the wall but that wall never will be build. Do not naive. New Cell Phone App Shows Illegal Immigrants Best Routes To Enter United States Undetected! of Homeland Security Secretary Kristjen Nielsen. While visiting the border wall prototypes, Trump addressed a crowd of reporters gathered and stressed the need for a wall. "For the people that say no wall, if you didn't have walls over here, you wouldn't even have a country,â€� Trump told reporters. "If you don't have a wall system, we're not going to have a country. There's a lot of problems in Mexico. Trump also said he would prefer a wall with a see-through component. Trump left the border wall prototype site and was en route back to Miramar Air Station where he is expected to address members of the U.S. Marine Corps. From there he is expected to depart to Los Angeles where he will be attending a fundraising event. 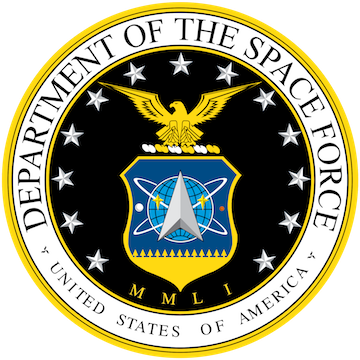 formation of a new branch of Military, The Space Force! 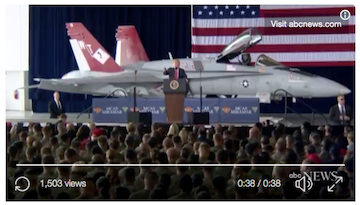 At Miramar, Trump talked about building a bigger and better military force and even loosely proposed a â€œspace forceâ€� in addition to the air force. at the southern border increased by more than 2.5 percent." 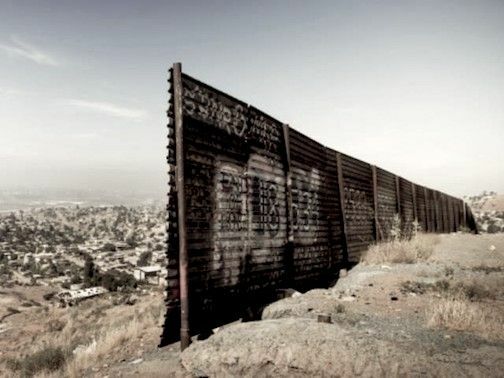 Illegal immigration pouring across the United States-Mexico border is likely to rise this year, according to a Princeton University expert, as President Trumpâ€™s border wall has yet to be constructed. In an interview with the Washington Examinerâ€˜s Paul Bedard, Princeton Policy Adviser President Steven Kopits said illegal immigration in 2018 is likely to increase by 70 percent â€” or about 590,000 border-crossings for 2018. Such an increase, Kopits told the Washington Examiner, would put 2018 as the â€œsecond highest year since 2010â€� for illegal immigration on the southern border. The report comes as Trumpâ€™s proposed border wall has yet to be paid for and constructed, leaving the southern border just as open as it was under former President Obama. The spike in illegal immigration for this year would translate into suppressing wage gains for American workers, who over the last couple of months have enjoyed historic wage growth due to increased immigration enforcement and less illegal immigration in 2017 largely due to Trumpâ€™s rhetoric. This week, Trump visited the border wall prototypes in San Diego, California. Though the administration has said the process is necessary, the prototypes have been sitting in the San Diego desert for over half a year now, with no timeline in sight of when the construction of the wall will break ground. ... WTF? DEMs and GOP block the wall! VETO MR. PRESIDENT! and his high-wage/low immigration economic strategy." 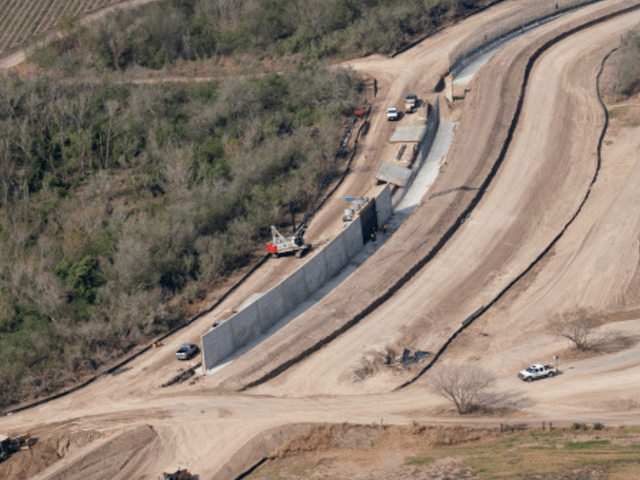 The 2018 omnibus budget provides funds to build just 33 miles of new border fence in Texas and denies any funds for President Donald Trumpâ€™s preferred border walls. The amounts designated in subsection (a)(2) through (a)(4) shall only be available for operationally effective designs deployed as of the date of the Consolidated Appropriations Act, 2017, (Public Law 115â€“31), such as currently deployed steel bollard designs, that prioritize agent safety. The $641 million allocated for new fences is only 0.05 percent of the $1.3 trillion spending bill, or just 5 cents in a $100 bill. ... Democrats won explicit language restricting border construction to the same see-through fencing that was already authorized under current law. The bill does not allow any increase in deportation officers or detention beds. We are disappointed that we did not reach agreement on Dreamer protections that were worthy of these patriotic young people. 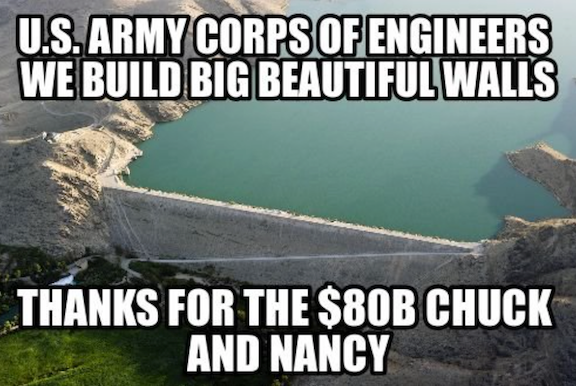 IT IS MY UNDERSTANDING THAT DJT, COMMANDER-IN-CHIEF: Can spend the miltary funding in any way he deems fit and proper~> Army Corps of Engineers .... National Security ..... Border Protection. TRUMP: "We have a lot of money coming to the border." President Trump said Friday that construction of his promised border wall would start "immediately" after signing the omnibus spending bill, which included $1.6 billion in funding for the wall. "We're going to be starting work literally on Monday," Trump said during an event Friday at the White House. "We have a lot of money coming to the border." Trump had threatened earlier Friday to veto the spending bill Congress passed on Thursday because it did not include sufficient funding for the wall and because it omitted expiring protections for young, undocumented immigrants. What I'm hearing is this omnibus bill forbids using the prototypes for the wall and doesn't fund the wall. I think the wall falls under national security, which apparently our government doesn't care about. ... see post #36 above ... hold the phone! new military budget and to use the Army Corp of Engineers. 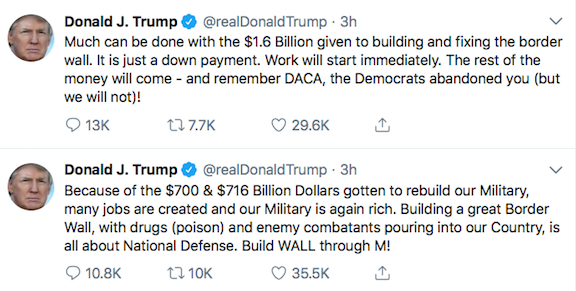 using military 'budget' monies to construct THE WALL. At the time the article made no waves ... BUT NOW! I'll include an excellent breakdown from a Twitter Deplorable.